River Oaks is a residential neighborhood, situated in the heart of Houston, Texas, between the Downtown and Uptown of Houston and within the 610 Loop. 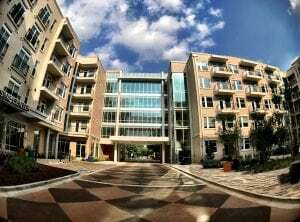 This neighborhood brags to house some of the most expensive residential buildings and luxury apartments in Houston. 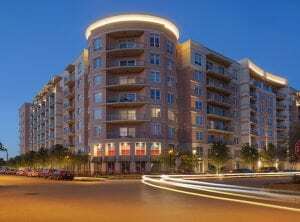 You can find the most costly condominiums, mansions and luxury apartments in River Oaks. It is named River Oaks because the development plans of the area included planting of oaks located within its parks and boardwalks. The development of the place was designed to establish a well-integrated community. In fact, it became a national model for community planning. Uptown, The River Oaks neighborhood is, essentially, Houston’s Beverly Hills. The upper class describes this part of town exquisitely because it is where the most expensive residences are. 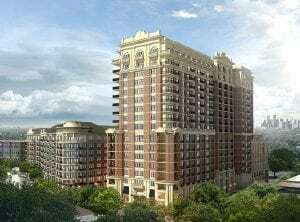 If you are looking for full-scale mansions, condominiums, homes for rent, high-quality luxury apartments, and great amenities, River Oaks in Houston is the place to go. 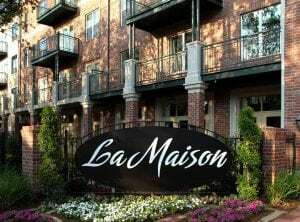 Business Week reports that the streets surrounding the River Oaks Country Club like Inwood Drive and Lazy Lane are lined with the most expensive estates, apartments, and rentals in this part of Houston. It is home to the famous Menil Collection. This is a museum of modern art created by Dominique De Menil, a Schlumberger oil-drilling heiress and her husband Jean. The museum was designed by Louis Kahn and Renzo Piano. It houses no less than 16,000 works, including Byzantine, African and Modern Art Antiquities. The highlight of the museum is the Mark Rothko chapel. As you would expect, such a breathtaking array of architecture and perfectly maintained streets give rise to extraordinary restaurants, art galleries, and boutiques. 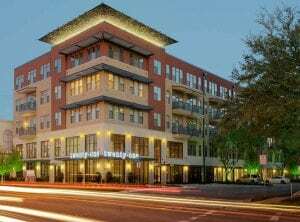 These are the centers of city life in the River Oaks neighborhood, and the River Oaks Shopping Center is a short walk from the renowned River Oaks Theater. Close by is the fantastic Memorial Park, which borders the ten-mile inner loop that defines most of the exclusive River Oaks region in Houston. 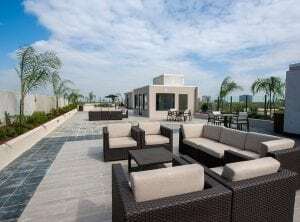 For fitness aficionados, this route marks a scenic run that can take you through the bulk of the luxury apartments for which this upscale region is known. 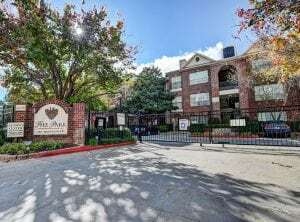 In fact, most of the condos, high end luxury apartments, and rentals in River Oaks are arrayed around Memorial Park and accessible via Willowick Rd., Inwood Dr., Jester Blvd and several other streets coming off the Katy Fwy. Because of the rush of openings in this Ritzy neighborhood, River Oaks District has become one of Houston’s hottest dining places. It offers access to the best restaurants you can find in all of Houston. Le Colonial is a chic River Oaks restaurant in Houston, Texas, that serves modern Vietnamese food such as crispy chicken wings with tamarind-lemongrass sauce and their delicate wood-ear stuffed Banh Cuon. If your mouth buds are yearning for the best burgers, Hopdoddy’s burgers offers the meatiest burgers topped with all the specials you desire from bacon and grilled poblanos to chili and lots of cheddar. They also have an all-veggie burger for vegetarians. Their Kennebec fries are hand-cut and taste great. 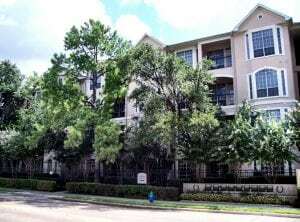 In addition to being home to luxury furnished apartments tucked away in high-rises with panoramic views of Houston, you cannot miss the ease-of-access provided by River Oaks Shopping Center which is owned and operated by a realty company. 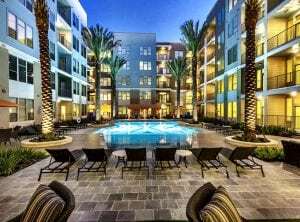 The location is very convenient, as it is nestled right between River Oaks and downtown Houston, and so acts as a sort of bridge between city life and the semi-private enclaves of upscale luxury apartments and houses. Inside the River Oaks Shopping Center, you will find unique, independently owned boutiques as well as national retailers. With 31 million tourists passing through downtown Houston each year, you can be certain that there are robust dining and shopping establishments set up to serve them. For the locals and visitors, of course, there are fitness centers, beauty boutiques, opera houses and massage parlors insofar as the more hands-on venues are concerned. Landmark River Oaks Theatre delivers a special kind of movie-going experience, given its insistence on showing exclusively foreign and old shows. Built nearly nine decades ago, it has undergone renovations to ensure structural integrity but has kept its ancient flair. Unlike most theaters, they offer movies at midnight on Fridays and Saturdays. Massage Heights is a venue totally dedicated to making you feel relaxed using the therapeutic effects of professional massages and skin therapy. Everything about the excellent ambiance and in-house comfort is about pampering the customer. The Rienzi is an art center that sits on a beautiful 5-acre area surrounded by ravines between River Oaks and Buffalo Bayou. Inside, you will find exquisite collections of Worcester porcelain, original English furniture and famous paintings from the Western world. There are sculptures and the Rienzi Garden from the mind of noted architect Ralph Ellis Gunn. The Bayou Bend Collection and Garden is housed in Houston’s philanthropist Ima Hogg’s former home. The garden is so picturesque, and many visitors enjoy the majestic formal gardens and woodland ravines that surround the 28-room historic Southern home. Inside the house is an art collection of the rare masterpieces of American art and antiques. Located in the River Oaks Shopping Center is the River Oaks Theatre, where you can watch Indie movies. Its grand showroom has the best lineup of foreign language and independent films cinemas. It holds special events such as the monthly midnight viewings of selected shows. Owned by Chef Ford Fry, the State of Grace serves a globally inspired menu with local skills, ingredients, and spices. Their menu includes twice-fried Korean chicken, cheese enchiladas, sticky and smoky beef ribs, and Thai curry octopus hearth-grilled served with the best oyster sauce. Your mouth will water at the sight of all this food. 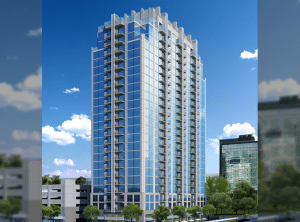 If you have plans of owning or moving to a luxury apartment or high rise condo located in River Oaks, the place will give you easy access to the biggest spots in Houston, including The Galleria, Greenway Plaza, the Texas Medical Center, exclusive amenities, and important freeways. To learn more on the choice that best suits your desires, call JUVITAE Luxury Leasing. For more information on the option that best suits your desires, contact JUVITAE Luxury Leasing. Julian is a self-proclaimed perpetual overachiever and has a team of like-minded and like-hearted professionals who are passionate about providing their clientele—who have distinct tastes, demanding schedules and sometimes quickly changing needs—the best real estate services. The team has an innate talent for anticipating their clients’ requirements and wishes. JUVITAE Luxury Leasing’s goal is to establish long-term relationships with clients and to meet their needs in whatever cities they may land next. If you are looking for the best River Oaks Luxury Apartment, Julian and his team will seamlessly guide you through your luxury acquisitions. The JUVITAE Luxury Leasing Team will sincerely attend to your concerns and provide you with details other realtors might not be willing to do such as personal transportation to and from the airport or serve as guides who will assist you in quickly acclimating to your new city. Being able to provide customer service that encompasses a concierge attitude is paramount to Julian and his team. Clients’ reviews about their experience with JUVITAE Luxury Leasing emphasize that their relocations and acquisitions were seamless, enjoyable and satisfactory. In choosing your luxury apartment in River Oaks, Julian and his team will apply their expertise in strategic planning, logistics coordination, and negotiation and transaction management. Are you now ready to find the best luxury apartment in River Oaks? Contact JUVITAE Luxury Leasing today and speak with a seasoned Luxury Real Estate specialist who will give you a sense of confidence greater than that provided by other real estate service providers. With JUVITAE, experience the luxury living that suits your lifestyle!